As the name suggests, fatty liver basically means too much fat stored in liver cells. The extra fat can trigger changes stopping the liver from working well. Since liver filters the toxins out of your blood, it could make a person feel very sick. 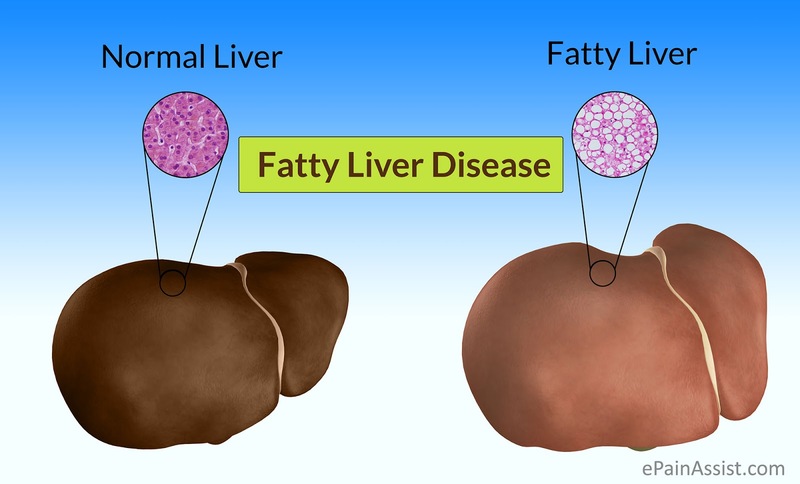 There are two basic types of the disease: nonalcoholic fatty liver disease and alcoholic fatty liver disease, which is also called alcoholic steatohepatitis. According to Mayo Clinic, the non-alcoholic fatty liver disease is a term used for a range of liver conditions that affect people who drink little or no alcohol. On the other hand, the alcoholic fatty liver disease is can happen to people who drink a lot. If the person keeps drinking, despite the condition it could lead to alcoholic hepatitis, liver failure, cirrhosis, and risk of even liver cancer. The non-alcoholic fatty liver disease can happen in any age group. In fact, the condition is very common around the world, especially in Western nations. In the United States, it's the most common form of the chronic liver disease and affects around 80 to 100 million people. The most common type of fatty liver disease is usually harmless. However, some people develop a more severe version known as nonalcoholic steatohepatitis where the organ gets swollen and can lead to cirrhosis, increasing the liver cancer and heart disease. The disease usually causes no signs and symptoms, if it does, it may include: pain in the upper right abdomen, fatigue and enlarged liver. Possible signs and symptoms of nonalcoholic steatohepatitis and cirrhosis include red palms, abdominal swelling, enlarged blood vessels beneath the skin's surface, enlarged breasts in men and yellowing of the skin and eyes (jaundice). Though the exact cause of the condition is not known, however, nonalcoholic fatty liver disease and nonalcoholic steatohepatitis are both linked to overweight or obesity, insulin resistance, high blood sugar (hyperglycemia), type 2 diabetes, high triglycerides in the blood. The risk of non-alcoholic fatty liver disease, include high cholesterol, metabolic syndrome, sleep apnea, type 2 diabetes, hypothyroidism, polycystic ovary syndrome, and obesity. Treatment usually includes weight loss through a healthy diet and exercise. Weight-loss surgery is also an option for those who need to lose a lot of weight. According to a study published in the Medscape, a low-fat diet or the Mediterranean diet really helps in curing fatty liver disease when followed along with physical exercises. Mediterranean diet includes mostly includes consumption of fresh fruits, vegetables, olive oil, fish and almost no meat.